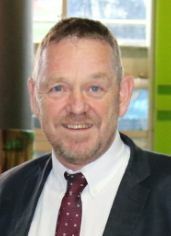 Grant Adlam has over thirty seven years experience in the marketing field which ranges from corporate marketing to print publishing, database management as well as branding experience. 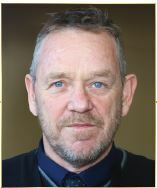 He has hands on, in depth knowledge of electronic media as well as website building and optimisation experience. 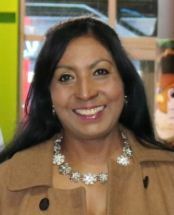 Lalita Dhasiar-Ventura has extensive experience in sales, marketing and communications. Over the past 19 years she has been instrumental in co-publishing the KZN Top Business Portfolio through her strong negotiating skills between the private and public sectors. She has vast invaluable experience, knowledge and understanding of negotiating with key personnel in the private sectors and stakeholders in KZN. Most of her working career is in the media industry having worked at the Star Newspaper for 22 years. She possesses an IMM Sales and Marketing degree from Damelin and has also completed various other diploma courses such as Negotiating Skills Course, The Argus Management Action Programme and The Industrial Relations Course to strengthen her communications and negotiations skills. 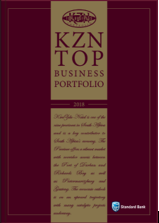 We are very proud to be celebrating the 20th edition of the KwaZulu-Natal Top Business Portfolio in 2018. Our innovative approach to staying abreast of media trends has ensured that we have remained a leader in showcasing the many companies and organisations, large and small, in the private and public sectors, all of which contribute to our Province's ongoing success. Annually, the printed publication is produced for ease of distribution and promotion purposes and is much in demand. The electronic flipbook is widely utilised, distributed and accessed globally. In addition, the Portfolio's ongoing success has been achieved through the use of a comprehensive and well optimised multimedia website (www.topbusiness.co.za), which continues to be well ranked on a variety of search engines. Of note the website is in the top percentages for internet traffic sourcing KwaZulu-Natal information, both nationally and internationally. The fact that we are ranked at all in some countries shows how well we are performing. News, developments and opportunities are highlighted through emails sent via an established data base. All previous news articles and stories are archived on the Top Business website for reference. A variety of social media tools such as Facebook, Instagram, and Linkedin ensure that we can blog content and reach a wider audience. This year, we are excited to include an additional multimedia feature. Following the successful launch of the KZN Leaders Portfolio in 2017, we have featured video interviews on this platform www.kznleaders.co.za. Each selected leader was interviewed on camera by our team, incidental video footage obtained, and an edited video clip produced. In 2018, we will again publish a separate KwaZulu-Natal Leaders' Portfolio profiling many of these business leaders. These mediums provide an opportunity to get to know some of the faces of business in KwaZulu-Natal a little better. We wish to thank all those who have advertised, and who have contributed information and visual material, as well as those who have assisted in putting together this edition of the Portfolio. A special thank you to Standard Bank for their sponsorship of the KZN Top Business Awards. to shine on the global stage.